Hello all hope you all well. 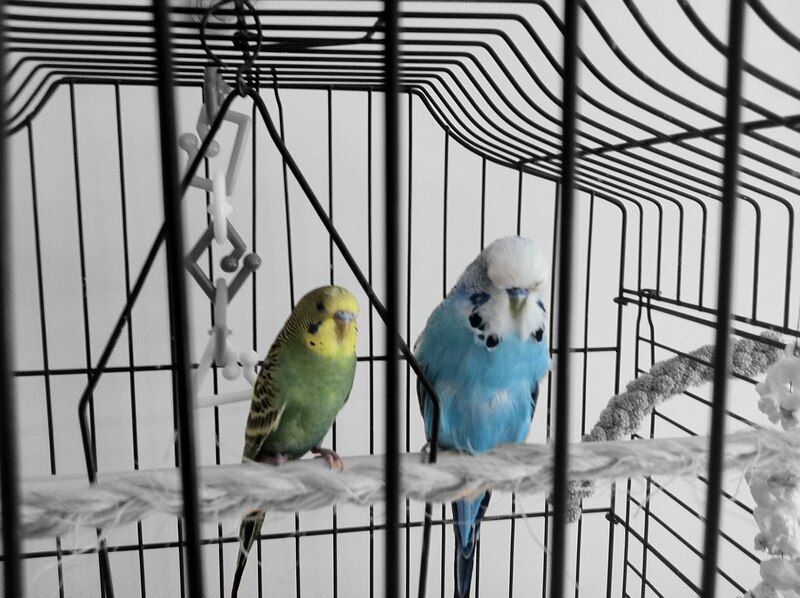 Before I show you all what I have been doing last few weeks thought I'll show you another new member of the family as we all may know I found a budgie few weeks ago after few weeks my partner and I went out and bought another budgie so the other one had could have a friend. 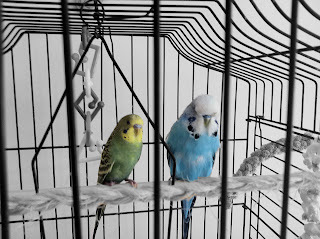 They still don't have names we both keep calling them blue and green keep telling my partner(Graeme) we need to find them names but he keeps on calling them there colour so I have a feeling its stuck dose not matter. Well I have been busy again crocheting and its been a pain because in one of my other blogs I showed you all the mouse I made and dumb me cleaned up the house I throw out the written pattern so I had to start from scratch I was not happy. As all can tell I add feet and love it but since I lost the written pattern mouse two did not turn out the same but I'll get there. But I love them both.it gives them there each own personality because and not one thing are alike. I agree that the differences between the two give them their own personality. May be a good thing that the pattern got lost even though it feels so unfortunate! Great work! Those really look cute..I like them. They are so sweet. I love the little newspaper and the cake and apron. When you do find, or rewrite, the pattern are you planning to post it online?